At 713 Locksmith Houston, we are committed to providing businesses with the best possible commercial locksmith services in Houston, TX. We pride ourselves on our ability to install and repair access control systems for workplaces quickly and professionally. We have been servicing Houston, TX and surrounding areas for years. 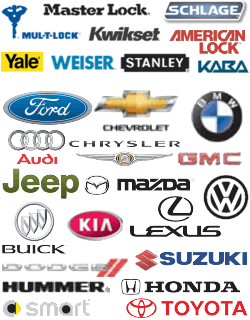 We are known for our upfront pricing, fast and friendly service, and expert technicians. We would love to install an access control system at your business today! If you are new to the world of business security, or if you simply have not updated the security at your building for a long time, then you may be wondering what is an access control system? Simply put, an access control system controls who has access to certain parts or rooms of your building or office. There are a wide variety of access control systems on the market today, including those that utilize a key card system and those that involve keypad entry. Why would I need a system like this? You may have never considered installing a system like this before. In your business, there are likely parts of the building or office that you would like to restrict access to those that can be trusted. This prevents everything from theft to corporate espionage. If you want to protect your business’ sensitive information, then you need to control employees’ access to certain parts of your building. For example, certain medical establishments, government buildings, and retirement/nursing homes employ access control systems to prevent unauthorized entry to certain rooms, as well as protect people’s safety and well-being. Have we convinced you to install an access control system? Still not sure who to hire for the job? 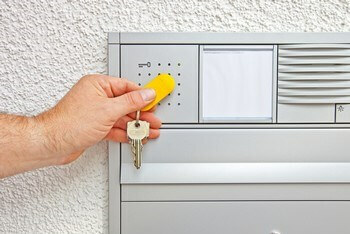 You should definitely place your trust in 713 Locksmith Houston for access control system installation and repair. Our complete commercial locksmith service will ensure that you have the best possible system installed for your company. Our company features highly experienced technicians that will be able to advise you on the type of system you should install. We are able to install any system available today and we ensure that you will get the system that works best for your office’s needs. We also provide upfront pricing, so you know what you will be paying long before installation starts. We are also extremely committed to making sure that your system accomplishes its goal. We will tour your property and make sure that all access points are secure, so there is no way for anyone to sneak in without their card or code. Many companies will install a system and then let the user figure things out if anything goes wrong. That is not the case with us. 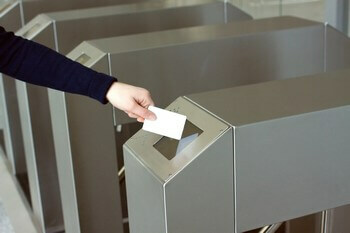 We are committed to ensuring that you have the best possible experience with an access control system. We offer 24x7 commercial locksmith service that will ensure that your system is never down for too long. If you take access to your building seriously, then you have to have a company that cares about servicing problems as they occur. A fault in your system can let the wrong person in or keep everyone out. Our mobile locksmiths have a speedy response time to get to your location ASAP. The final reason why you should retain our services is our years of experience in the industry. We have built a reputation over the last five years of being able to install and repair any access control system. We are licensed, bonded, and insured and well-reviewed. Over our 5+ years’ experience in the business, we have changed security systems for many local Houston business owners. 713 Locksmith Houston is the company you need to call when you want to control who has access to your building. We have been servicing Houston, TX and surrounding areas with complete locksmith service for several years. Our 24x7 locksmith service will be there to help you whenever you need it, so call us today. Installation and Repair of Access Control Systems http://713locksmith.com/access-control-systems/ 3.7/5 based upon 25 reviews.